Universities and hospitals are major drivers of economic growth. Through their spending and investment, they make the economy more vibrant, regions more innovative, workers more competitive, and communities more inclusive. As business and technological shifts are reshaping the future of work and redefining the need for talent, getting a higher education is more important than ever. But at the same time, the sector is under greater pressure and these anchor institutions have an extraordinary opportunity to reframe the debate by providing empirical evidence of how they create local and regional economic prosperity. Such a business case needs to consider emerging corporate, urban, and technological trends while being sensitive to community and political dynamics. 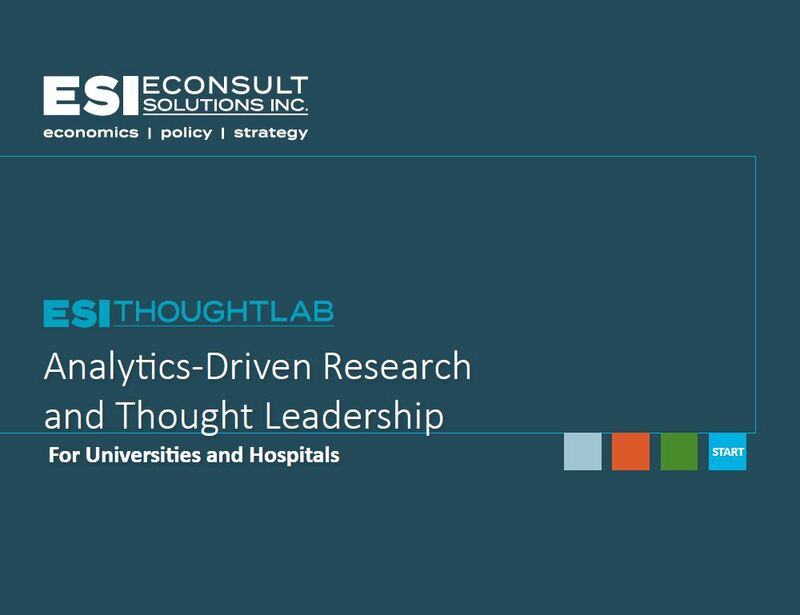 Our team understands that these institutions require specialized analyses to showcase their success and the valuable impact of their work, from assessing the benefits generated at the regional, local and hyper-local levels, and quantifying the innovation impact to providing evidence-based thought leadership and decision support.